Welcome to the 2018 SNAG meeting! We are happy to announce the first meeting of the Swedish Network for Algebra and Geometry. 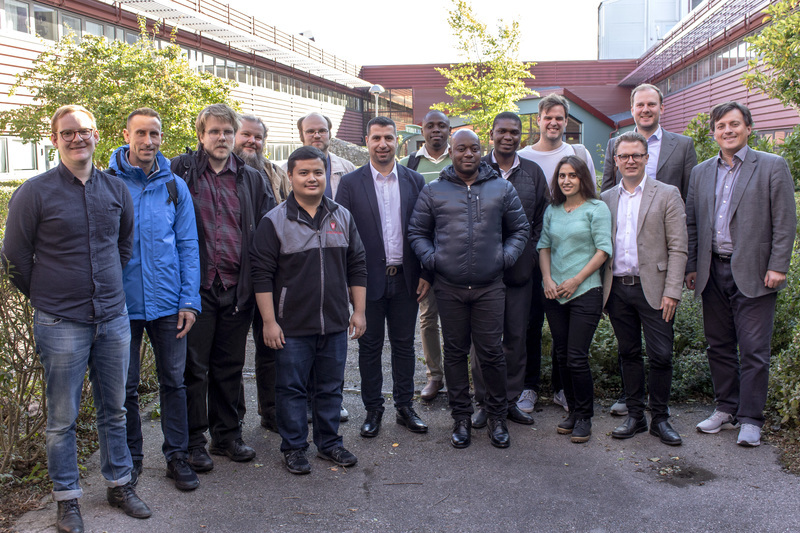 The purpose of the network is to develop the interaction between mathematicians working in the fields of algebra and geometry at Swedish universities. In particular, we envisage an active participation of PhD students and young researchers with the aim to build networks and encourage collaboration. The workshop is supported by the Swedish Research Council (Vetenskapsrådet) and the Royal Swedish Academy of Sciences. Organizers: J. Arnlind, S. Silvestrov and J. Öinert. The meeting will take place at Linköping University on the 27th -- 28th of September 2018. On the 27th of September the lectures will be held in our seminar room (Hopningspunkten), B-huset, entrance 23. Turn left into the first corridor, and you will find Hopningspunkten on your right hand side a few doors further down. On the 28th of September the lectures will be held in room BL34. Again, you enter B-huset via entrance 23, walk up the stairs and continue straight ahead. You will see the sign "BL34" hanging from the ceiling. How to reach the university? By train you get off at the central station "Linköping resecentrum". To reach the university you take Bus 12 to "Universitetet Golfbanan" (which is also marked on the map of the campus). For timetables see Östgötatrafiken. Are you staying at Best Western Priceless Hotel (Storgatan 76)? Then you get on bus 12 at the stop "Länsstyrelsen" (map, marked "B") close to the hotel and get off at the stop "Universitetet Golfbanan". For timetables see Östgötatrafiken. If you would like to attend the meeting, please send an email to Joakim Arnlind. Please note that participants are expected to make their own arrangements for travel and accommodation. The program is also available in the SNAG Google calendar via this url.